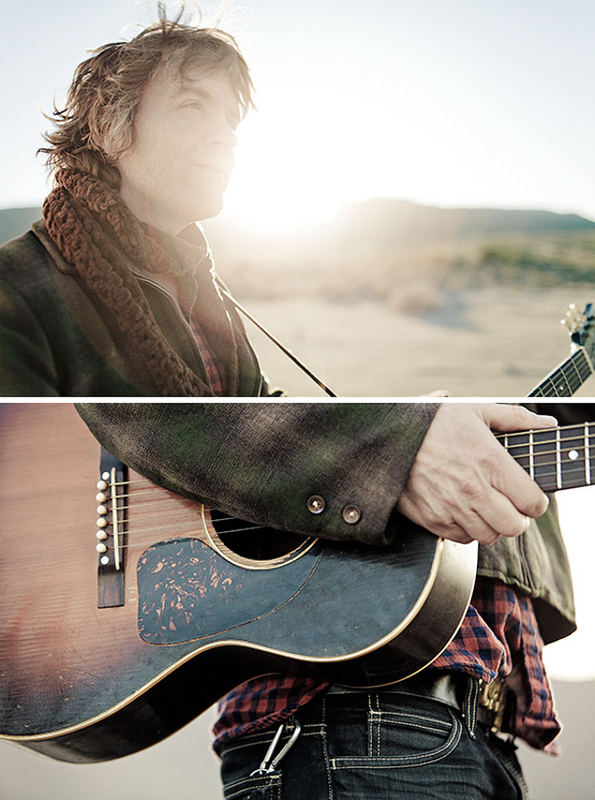 Described as a "contemporary troubadour," Tim Easton is a consummate traveling songwriter. From his Ohio roots through stretches in Paris and Prague, Tim grew his credentials with stints in NYC and LA, leading to his latest encampment in the high desert country outside of Joshua Tree, California. For Tim, traveling seems both the inspiration and the reward. We caught up with Tim earlier this year via a connection made at a Joshua Tree's Ricochet - a social hub where travelers and locals alike stop in for coffee, homemade cuisine, and to catch up on the latest happenings. It was here that we first made contact with Tim Easton via Rosa who was instrumental in connecting us for this project. After conversing over lunch at Ricochet, Tim took us to a location known by the locals as Area 54 - the backyard of the Joshua Tree National Park. We spent time in this area of the high desert capturing his story along with a few original songs inspired by the area. Outside of Joshua Tree, Tim has played stages around North America, Europe, and Japan with such artists/influences as: Lucinda Williams, John Hiatt and M. Ward to name a few. The Tim Easton project is as close as it gets to an ideal creative endeavor for me. It had all the elements that continue to fuel my passion for what I do. Tim Easton was more than gracious with his time and knowledge of the area. He allowed me to do what I love to do: get close to interesting people in great locations where I can let my creativity flow in tandem with creating new visual content. A special thank you goes out to: John Fontana who captured our on location interview and ambient audio, Eric Schleicher "Filmerkid" who was brought on for both editing and color grading, Pilotvibe handled our audio mastering, and Michael Lizama who was tapped for graphic design - both title and credits. Elemental Motion Media brought Michael's graphics to life with their amazing animation skills. Enjoy a glimpse of our time in a place richly layered in - music, artists, and mystique that continues to pull people towards Joshua Tree year after year. "When I woke up the next day, the air was cool and clear. The sun was bright, and there wasn't a cloud in the sky. I packed my gear and got back on the road. My tires felt fast, and I felt alive in a way I hadn't for some time." We are often unaware of how our past has a way of meeting with the present, bringing us full circle. The two wheeled journey of writer Frank Bures "Ebb and Flow," is one of these stories that takes him from Minneapolis to his hometown of Winona, MN - a 150 mile journey to attend his 20th high school class reunion. Although we were not with Frank during his initial ride, we did have the privilege of documenting some of the likely visuals of his trip. The March issue of Bicycling Magazine features the personal account of Frank and his trip home after 20 years. Present meets past via bicycle along the Mississippi River.